Every season, essence cosmetics releases a ton of new products. Spring/Summer 2017 is no different, there is a huge selection of items from a new line of matte lipsticks to some face palettes. This includes the essence Shape Your Face Contouring Palettes. As to be expected, these retail for around $5.99 depending on where you pick them up. essence has to be one of the most affordable brands and the drugstore, making it low risk to try out some of their new line! I have a video on my YouTube Channel dedicated to their new Spring/Summer 2017 line if you would like to see more. Today however we are focusing in on the essence Shape Your Face Palettes. There are two in the line, depending on your colour preference. 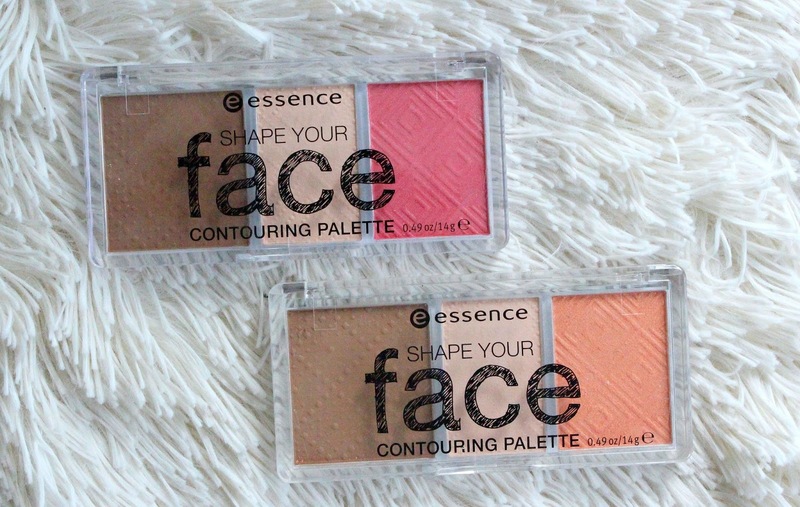 essence Shape Your Face Palette in Ready Set, Peach! or the essence Shape Your Face Palette in Ready Set, Pink! Right of the bat I'd like to commend essence for the shades, normally everything the do for the face is so pale and pastel which does not work on my medium/deep skintone but I can make both of these work. It should be noted the highlight in here is more something I would use to set my undereyes, it is not a shimmery cheekbone powder. 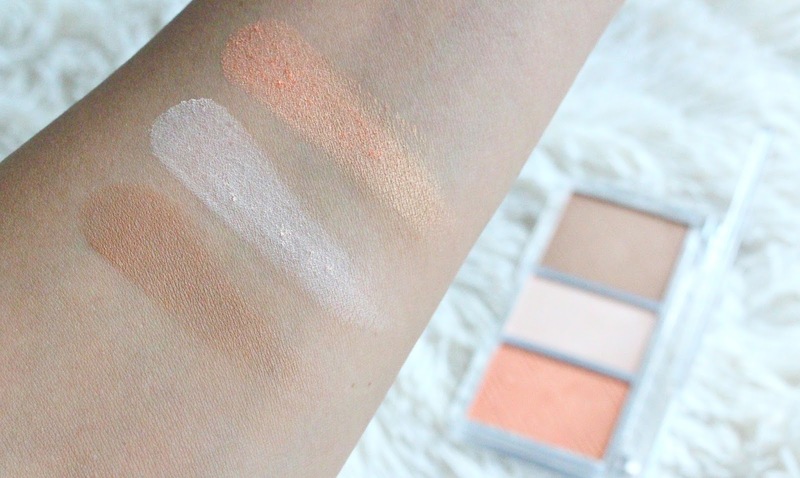 The essence Shape Your Face Palette in Ready Set, Peach! has the lighter bronzer of the two, it is not super warm or cool toned, and is matte. The highlight in this palette is also a matte formulation, a light creamy shade with a surprising amount of pigment. The blush is a beautiful orange with a ton of gold shimmer, no glitter. 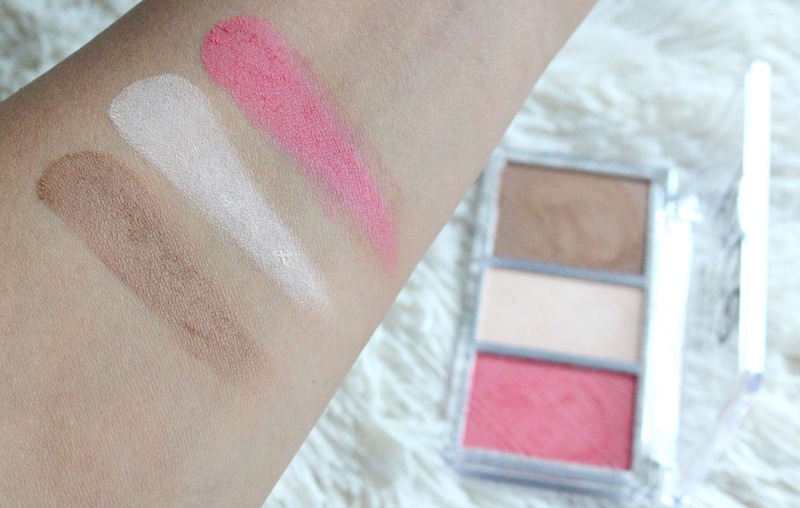 This for me would act more as a blush topper, it lacks enough pigment to be a true blush. 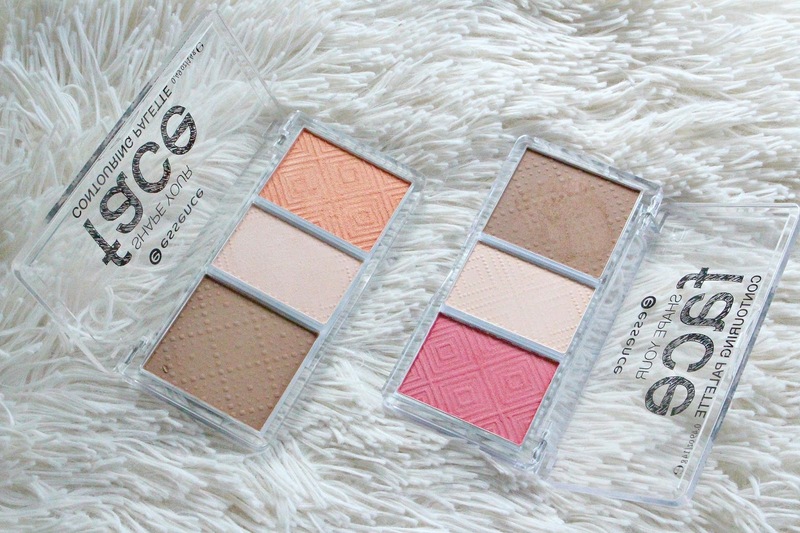 The essence Shape Your Face Palette in Ready Set, Pink! has the deeper bronzer, again it's a pretty neutral shade, with a matte finish. I think the highlights in both palettes are the same, or at least there is no real notable difference. The blush in here is quite pigmented, a great vibrant pink shade with red undertones. On initial inspection I saw silver glitter (no!) but it doesn't translate on the cheeks really. Overall, both palettes are pretty powdery, but I don't mind that. They blend pretty well and there is good pigmentation. For my skintone, I don't think they are a complete win. I do think they are nice, especially for that low price tag. Just going to be a case of personal preference and skin tone.